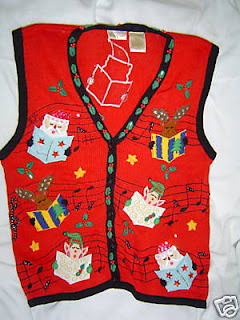 Shooting out Reems of Christmas Ugliness just for your dining and dancing pleasure. 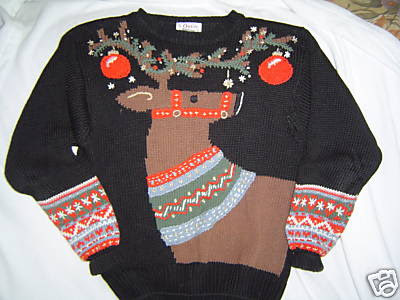 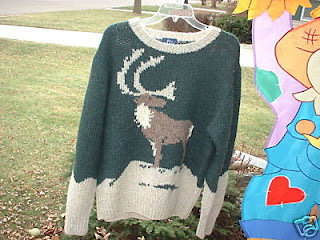 I love this reindeer one so much! 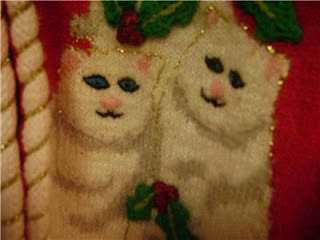 I don't know what is more disturbing: cats doing a pyramid formation or the fact their eyes are soulless. 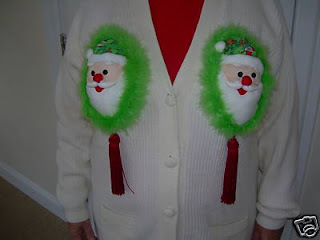 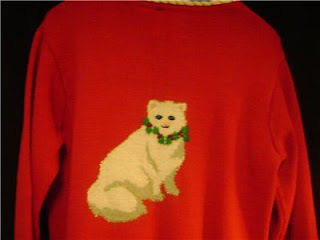 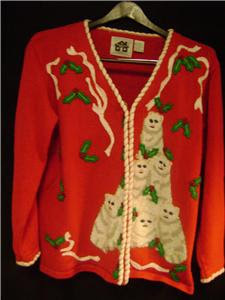 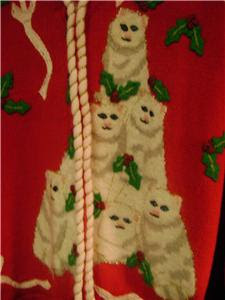 The jokes about testicles would be endless with this sweater. 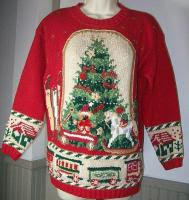 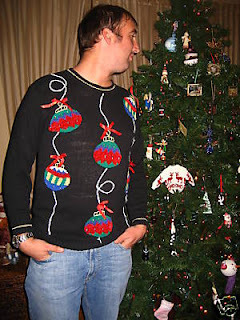 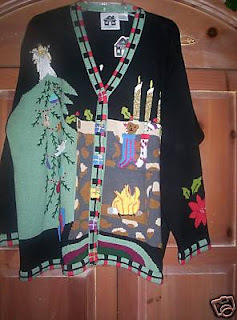 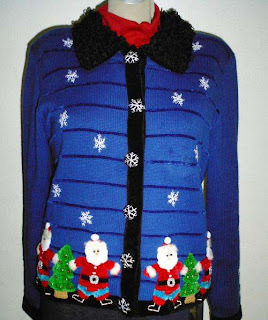 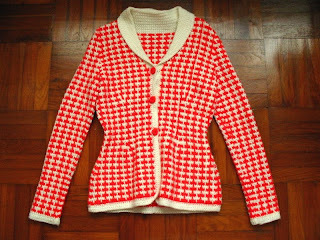 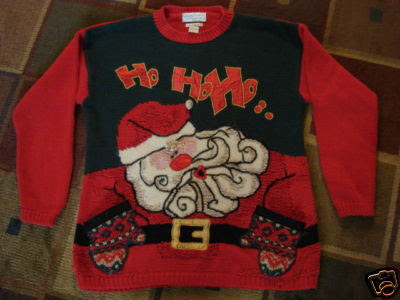 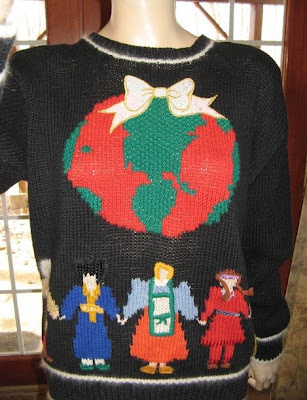 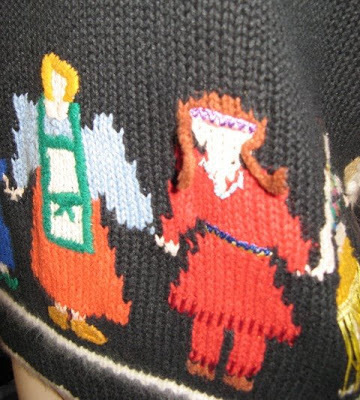 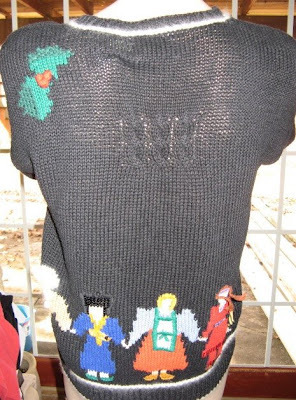 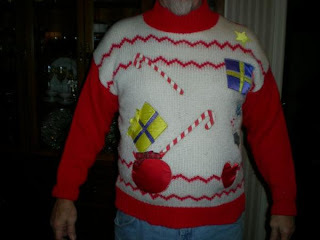 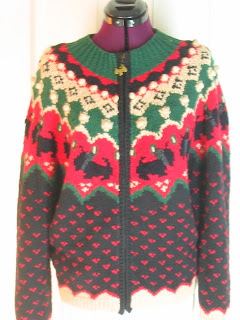 What could be better than a sweater that makes your beer belly look like a Christmas present?